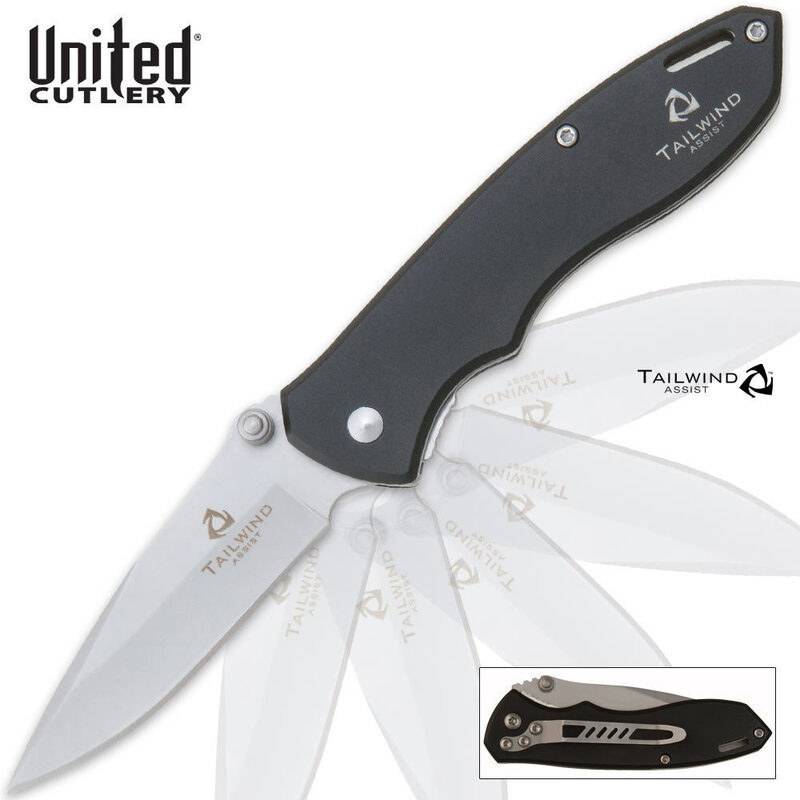 United Cutlery Tailwind Assisted Opening Black Onyx Satin Blade Pocket Knife | BUDK.com - Knives & Swords At The Lowest Prices! If you're looking for United quality and Tailwind assisted-open speed on a slightly smaller scale, then this Black Onyx assisted-open folding pocket knife is the perfect solution. It brings you the lightning-fast Tailwind Assisted Open Mechanism, which effortlessly propels the blade open when you engage the built-in thumb stud. Good knife. Needed sharpening out of the box. Had to be broken in until it was easy to open. Really stiff when new. Now it's fine and a very good knife to carry every day. Nice little carry knife for 10 bucks. Good quality. My only complaint is the the spring is very stiff, difficult to open. For $10 I was surprised at how nice this knife is. This knife is a good as knifes I've paid four times the price for. My only complaint is the the spring is very stiff and without a starter knub that protrudes through the back of the handle it is somewhat difficult to open. I bought it for me wife, but she can't flip it open one-handed, so it became my knife.